Watching Football in Japan - Available Now! Right, now I can finally get on with my life! Happy New Year! S-Pulse progress (eventually) with a heavily experimental line up. The final of this little Hong Kong beano will be on the 26th, which is Thursday. Which I'm here, new signing Yoshida has been included in the U23 squad for the upcoming February Olympic qualifiers. January 23rd and 26th @ Hong Kong Stadium. I'll keep you updated of the results as they happen. Good luck to our boys, and the supporters on their way to Hong Kong to cheer us on. Respect. Either you've got a pretty horrendous grasp on geography, or you were just hustling Tokyo for a better offer, while playing your own supporters like a bunch of mugs. If you're not with us, you're against us. Shut the door on your way out. Jong a Pin will take left back. You've managed to sour all the good memories. You won't be missed. Time for a round up. Been a bit busy finishing off the book, but while I have a few minutes. Our new slogan this year is One Team, One Mission. Our best one yet, and I bet Mr Ghotbi had a hand in it. Being Nagoya's opening weekend, it more than likely be played at the stunning Toyota Stadium. 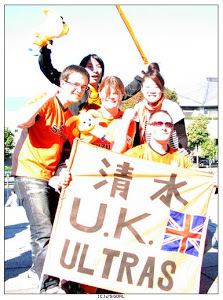 Worlds away from the dump that is Mizuho (no offence, Nagoya, but for supporters Mizuho is crap and you know it), we'll probably take a few thousand and I can't wait. After that, home to Hiroshima. As per the title really. Nagai, who was in danger of not finding a team, has signed with Yokohama FC. A better signing for Yokohama than it is for him, if truth be told. 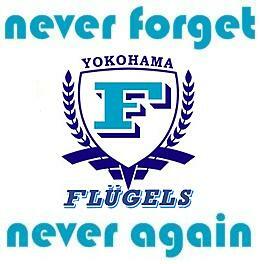 But good luck to him and maybe with his help the ex-Flügels can make a J1 challenge this year. Rather more surprising was the transfer of Masaki Yamamoto to Consadole Sapporo. 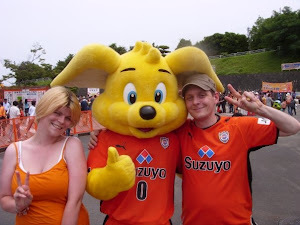 He was always a favourite of Kenta, but there's just not been the space for him under the new regime what with Ono, Ljungberg, Edamura, Brosque, Jong a Pin and Sugiyama all ahead of him for most of 2011. Not to mention the returning-from-injury Daigo, and you can see why he may have felt it time for new surroundings. He's been with us since he was in junior high, so thanks for everything and good luck, Masaki!